Be the first to share your favorite memory, photo or story of Jacquelyn. This memorial page is dedicated for family, friends and future generations to celebrate the life of their loved one. Jacquelyn (Jackie) Wittkop, 67 of Pennington, New Jersey died peacefully on February 5, 2019.
close friends. She cherished time spent with friends Neil and Kim Blackwell, Geri Cortina and her lifelong friend, Susan McCormick. Jacquelyn was a devoted Catholic. Her faith stemmed from her upbringing and her formative years at Blessed Sacrament School and Cathedral High School in Trenton, NJ. After high school, she worked for the local architecture firm of FVHD, serving this firm for more than forty years as an administrative assistant. Jacquelyn married her devoted husband William Jeffrey Wittkop at the tender age of 19, together they have resided in Pennington Borough for 48 years. Jacquelyn was known for her tremendous sense of humor and her dedication to family. She was a gifted baker, her signature lemon cookies and chewy chocolate chip cookies were loved and requested by many. Jacquelyn’s hobbies included knitting, quilting and reading Janet Evanovich novels. 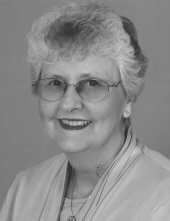 Throughout her life Jacquelyn was an active member of the Pennington community; particularly as part of Saint James Roman Catholic Church in Pennington. At St. James, Jacquelyn served in many capacities and ministries; including but not limited to as a member of the Lazarus Group, the Alter Guild, as a dedicated Eucharistic minister and a proud member of the Women’s Cornerstone team. Jacquelyn had a strong sense of civic responsibility and was a lifetime member of the Ladies’ Auxiliary for the Pennington Fire Company serving in every capacity from President to Secretary. She was also a life member of the Ladies Auxiliary of the Firemen of the State of New Jersey and served as an Assistant Treasurer for the Ladies Auxiliary Mercer County Firemens’ Association. A mass of Christian Burial will be celebrated at 10 am on Saturday, February 9, 2019 at St. James Roman Catholic Church at 113 East Delaware Avenue, Pennington. A viewing will be held on Friday, February 8, 2019 from 3-5pm and 6-8pm in the Gathering Area of the Church. Interment will be private. Memorial contributions in Jacquelyn’s memory may be made to the Rock Brook School- 109 Orchard Road, Skillman, NJ (rock-brook.org) or Princeton Child Development Institute/PCDI- 300 Cold Soil Road, Princeton, NJ 08540 (PCDI.org). To send flowers or a remembrance gift to the family of Jacquelyn Ann Marie Wittkop, please visit our Tribute Store. "Email Address" would like to share the life celebration of Jacquelyn Ann Marie Wittkop. Click on the "link" to go to share a favorite memory or leave a condolence message for the family.